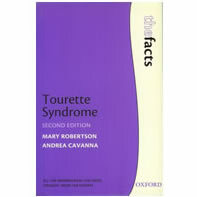 Providing authoritative and up-to-date medical ands cientific information about Tourette Syndrome, A Family’s Guide to Tourette Syndrome speaks tp patients, fmailies, care providers, academic institutions and medical centres in easy-to-understand language. by Marea Whitley, TSAA member. 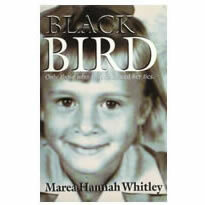 Story of young girl in the 60s with TS growing up in the Catholic Education System, (Australia). 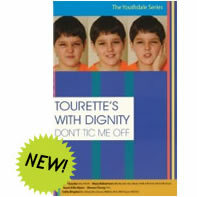 Meet Max – a boy with Tourette syndrome (TS). 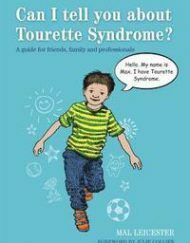 Max invites readers to learn about Tourette’s from his perspective, helping them to understand what tics and triggers are and what it feels like to have TS. He explains how living with TS can sometimes be difficult, and how people around him can help him to feel happy and accepted. This illustrated book is ideal for young people aged 7 upwards, as well as parents, friends, teachers and other professionals working with children with TS. It is also an excellent starting point for family and classroom discussions. Excellent resource for use for school talks to help explain TS to children and their peers (Primary age). Can I Tell You About TS? 40 Simple, fun activities to teach kids to; Cope with school & relate to friends; Manage behaviour in public places; Strengthen self-esteem. 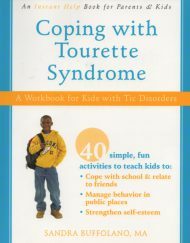 This practical workbook helps kids with TS, obsessive compulsive disorder (OCD), or attention-defecit hyperactivity disorder (ADHD) understand, prepare for, and mask their tics. After completing these exercises, kids with TS will have all the tools they need to handle their tics with confidence and grace in any situation. Stories and strategies for managing TS. by Mary Robertson and Andrea Cavanna. Published by Oxford University Press, 2008. 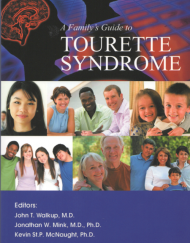 The latest findings causes of of the syndrome, how it is diagnosed, and how to cope if you or a a relative has been diagnosed. It also provides chapters focusing on education, employment and empowerment, as well as famous and successful people who have achieved their goals despite their diagnosis. It is suitable for families, friends, teachers, clinicians and doctors alike. 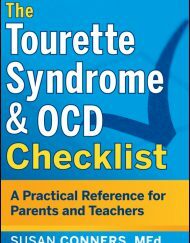 The Tourette Syndrome & OCD Checklist — A practical reference for Parents & Teachers by Susan Connors Med. 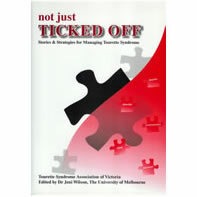 Loaded with practical information, strategies, and resources,this book helps parents and teachers to better understand Tourette Syndrome and OCD and shows how every individual can reach their potential in school and in life. 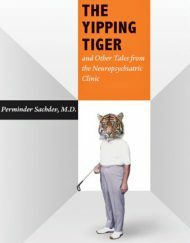 This fascinating collection of case studies from neuropsychiatrist Perminder Sachdev offers unparalleled insight into the intricate processes of the human brain. From golfer’s yip (involuntary wrist movements) and Tourette’s syndrome to phantom limbs and anorexia nervosa, these case studies reveal the latest research on brain disorders and injuries as well as the challenges they pose for both doctor and patient. Drawn from decades of treating patients, these ten stories include some of the author’s most difficult and rewarding cases. Engagingly written and reflecting both Sachdev’s empathy for the patients and his ability to explain complex science, this highly readable book will appeal to anyone interested in the mysterious workings of the human brain. Stories by children about TS, (small book). Kids telling it like it is—Insightful comments by young people who reflect their own experience of the disorder. A softcover, 64 page, full colour booklet. (aka ‘twitchy’), Dr Sharon Chung and Dr Colin Shapiro boy with TS. What would you do if, out of the blue, your life turned upside down? What if you went from being a happy, healthy, normal, child, and suddenly became an anxious, depressed, twitchy mess of devastating proportion? This is exactly what happened to Stuart Ellis-Myers. At the age of eight, Stuart began to develop one of the most misunderstood mental illnesses of our time . 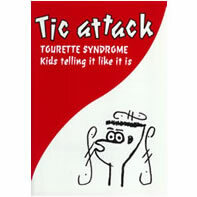 . . Tourettes Syndrome. Faced with the prospect of a lifetime of frustration, isolation, and shame – the typical reaction to this tragic condition – Stuart instead chose to make his life into something remarkable. One of the most gifted and inspiring public speakers on the corporate circuit today, Stuart has used the life lessons learned through years of battling this often emotionally crippling disorder to help countless others to overcome their own challenges and fears. This is an interesting, fun, often laugh out loud funny read, where along the way, you are guaranteed to find something that will touch your heart, intrigue your mind and warm your soul. 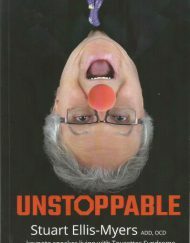 It would be easy to categorize this as “just another self-help book”, but it is so much more. This is the story of a man who refused to accept other people’s “truths”. It is the story of a man who chose to, not only survive but become UNSTOPPABLE.